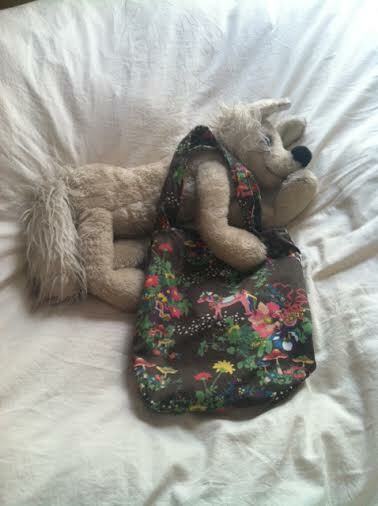 Kathleen’s tote in the arms of her very own Wolfgang Amadeus (aka Gift Wolf). Kathleen (Mary, Katie, MK, Carlson, Cobb, Maris, Paltrineri) has had many names. I think it’s a tribute to how many people have loved her. Kathleen & I met at UNH’s MFA writing program, both of us in the poetry program. Before moving to New Hampshire for grad school, Kathleen lived in Spain, South Korea, Iowa, Hawaii, Colorado, not to mention all her travels in India, Italy, Haiti, Israel and Norway. (I’m certain I’m missing some!) 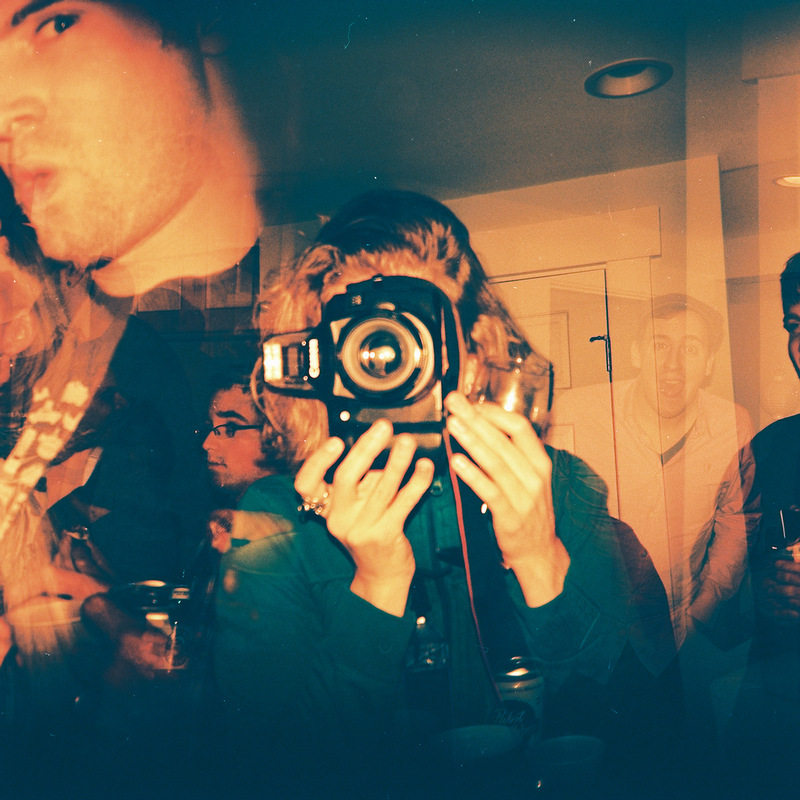 Kathleen has been a poet, a journalist, an ESL teacher, someone who moshes in the mosh pit at concerts, a grant writer, a babysitter, a photographer, a firefighter. She’s caught a marlin, driven trucks with 16 gears, donated a kidney, and found true love twice. All this, in just one lifetime! Kathleen says her tote is “the perfect Sunday coffeehouse reading tote.” It also helps her stay organized for yoga at 3 Bridges Yoga. Wolfy uses the tote to carry home locally grown vegetables and flowers for Kathleen’s hair. More wonderful poetry by Kathleen Maris/mk cobb can be found at: Alice Blue Review, Sugar Mule, and Thrush.